Thinking Pinoy: Will Duterte cancel Pres. Marcos’ Burial at Libingan ng mga Bayani? Will Duterte cancel Pres. Marcos’ Burial at Libingan ng mga Bayani? First, existing LNMB eligibility guidelines [AFP Reg G 161-373] actually allows a Marcos burial. Corazon Aquino signed these guidelines herself in 1986, suggesting a major oversight on her part. With this regulation, Aquino de facto allowed her family’s archnemesis, Pres. Marcos, to be de facto called a hero. Second, past four presidents – which includes two Aquinos – had all the chances to revise these problematic guidelines, but they didn’t. AFP Reg G 161-373 has remained intact for the past 30 years. In 1998, anti-Martial Law group “Never Again!” opposed Marcos’ LNMB burial [Desaparecidos]. In 2010, Bongbong Marcos himself requested then-Senator Benigno Aquino to allow Marcos’ LNMB burial [GMA]. In 2014, Sen. Chiz Escudero suggested a Marcos LNMB burial [Star]. Why did the first President Aquino allow it by signing AFP Reg G 161-373? Why did the second President Aquino do nothing to amend AFP Reg G 161-373? Why did NOBODY in the anti-Marcos crowd suggest amendments to AFP Reg G 161-373? Baka hindi lang talaga naisip? Ewan ko ha, pero ‘pag bumoto kasi ako ng leader, gusto ko ‘yung may insight at foresight. Ayoko nung nauuto o may kamangmangan. Suppose you were diagnosed with early onset diabetes and it’s known that late stage diabetics suffer kidney failure. Despite the diagnosis, you still drank Pepsi like there’s no tomorrow. Fifteen years later, you discover that your kidneys are goners. Would you blame fate, or would you blame your chronic negligence? 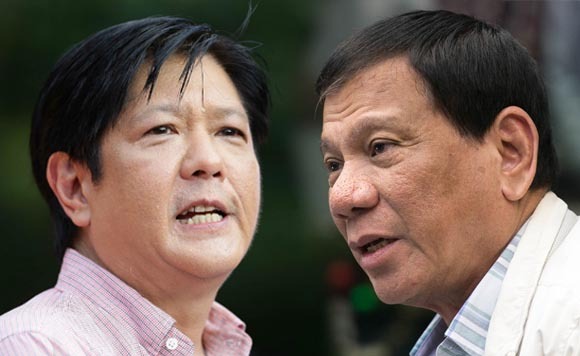 But it’s too late to play the blame game: it’s already 2016 and Rodrigo Duterte has become the president, and he has verbally ordered Marcos to be buried in LNMB. This was a campaign promise made in February 2016 [Rap], so Duterte is basically fulfilling the wishes of Bongbong Marcos supporters. This Duterte campaign promise was one of reasons why I had to make a careful value judgement as to which among the presidential contenders I will support, as I myself was still undecided up to late February 2016. A foul-mouthed Duterte who wants a dictator buried in the Heroes’ Cemetery. A Roxas who supports illegal mining companies [TP: Roxas Crony] that murder indigenous Mindanawons. A Poe who knows little [TP: Foreign Policy] and has strong oligarchic links [TP: Poe-Danding]. A Binay who is corruption personified [TP: Corruption]. Marcos’ LNMB burial is cancer, and as early as February 2016, I have accepted the fact that no amount of chemotherapy will fix it anymore, so I moved on with my life and focused on things that can still be fixed, like rampant corruption and grinding poverty. Walang mapagpipilian e. Kung basura si Duterte, hamak na mas basura ‘yung iba. Regardless, there’s still a small glint of hope in my heart, hoping that Duterte will change his mind. I have a glint, but others have a bright shining light fit for rave parties. Alam niyo na, baka mag-milagro? As I have explained in “Marcos in LNMB? Leni Robredo really is a terrible lawyer”, there is only one possible recourse to stop Marcos’ LNBM burial: a temporary restraining order (TRO) from the Supreme Court (SC), followed by an anti-Marcos SC decision.The flipside to this proposed solution is a potential issue of usurpation of powers. A Supreme Court TRO will directly undermine the Chief Executive’s prerogative on LNMB burials. And judging from Sereno’s open letter, Duterte’s patience on the Judiciary is wearing thin [TP: Rappler Faulty Insight]. The Judiciary is woefully short of political capital. There’s the contentious Grace Poe Decision [TP: Sereno], the PGMA Release [TP: Arroyo], and now, they have angered the 16 million who voted for Duterte when they castigated him. Will the SC risk a full-blown constitutional crisis over this issue? Probably not. Ginamit na kasi agad ni Sereno 'yung baraha niya nang nag-open letter siya kay Duts. There, I said it: it’s Duterte’s prerogative. We might as well throw all the legalese out the window. Right now, the decision to proceed with Marcos’ LNMB burial is solely up to him. Yes, no one but Duterte can cancel the burial plans. Various protests will inevitably be held in the days leading to Marcos’ interment date, and Duterte actually said he allow as many demonstrations as the protesters want, as long as they don’t interfere traffic [MT]. Their reasons for opposing the burial are similar, if not identical, to the ones forwarded by our globetrotting Vice-President Leni Robredo: Marcos plundered, tortured, and killed [TP: Leni the Lawyer]. But then, we have to remember that it’s Duterte’s prerogative, and Duterte is a politician. If there’s anything that we should have already learned about him, Duterte is a staunch pragmatist. He hates “rigmaroles” and focuses on things that yield practical benefits. Take for example Duterte’s stance on the South China Sea. He knows for a fact that our EEZ covers much of the contested area per UNCLOS, yet he took a calibrated approach to the UNCLOS decision [Yasay Face]. Thus, a political analysis of Duterte’s two options vis-à-vis the LNMB issue is in order and his two options are to proceed with burial and to cancel it. To proceed or not to proceed? What will Duterte politically gain from cancelling the LNMB burial? Proceeding with the interment is just a matter of keeping the status quo, as Duterte has ordered Marcos’ LNMB burial already. Duterte’s core supporters – the 16 million who voted for him in May – can be categorized into three basic factions: BBM supporters, Anti-Marcos, and those who don’t give a damn about LNMB. This is very similar to the Balay and Samar Factions of the Aquino Administration [TP: Roxas Rise]. FIRST, Bongbong Marcos supporters will view Marcos’ LNMB burial as a fulfilment of a campaign promise, so that will make them happy. SECOND, Anti-Marcos Duterte supporters are well aware of this plan even before they elected that man. Yes, they will still protest, but their opposition will mostly be in principle, as they know this is a losing war. Most have already made the compromise on May 9th and are thus unlikely to withdraw their support for Duterte’s general platform of governance. THIRD, those who don’t give a damn really just don’t give a damn. In short, Duterte can safely say that the collateral damage on his support base will be sufficiently compensated by increased loyalty of the Pro-Marcos faction. The party-list groups and leftists will vehemently complain [TV5] about the burial, but they too are aware of Duterte’s February promise, so they must have already accepted the compromise. They would be too naïve if otherwise, and nobody likes being called naïve. Samakatuwid, generally na hindi maapektuhan ang kanyang support base sa pagtupad ng campaign promise na ito. Which other major groups in the general Filipino population are calling for cancellation? Who else calls for the cancellation? There are three other groups that could possibly call for cancellation: Poe voters, Binay Voters, and Roxas voters. Voters of Poe and Binay, however, are aware that their candidates are open to having Marcos buried in LNMB [GMA], so the reasoning I used in the previous section roughly applies to both these groups. Thus, we are left with one group: Roxas voters who staunchly oppose the burial. For the sake of argument, suppose Duterte yields to Roxas’ voters, some of which resort to sophistry to discredit the old man [TP: 400 Deaths]. Will that decision win them over? No, it won’t. After the smoke has cleared, they will still oppose Duterte. Just look at Carlos Celdran, their flagbearer. But for the sake of argument, let’s just assume that Duterte will win the hearts of staunch Roxas supporters. Unfortunately, a simple cost-benefit analysis using election results implies that Duterte shouldn’t cancel. Roxas has 9.7 million supporters [GMA], taking into account potential electoral fraud [TP: Smartmatic], the number may even be lower. On the other hand, Bongbong Marcos has 13.8 million supporters [GMA]. Now, will Duterte risk angering 13.8 million Filipinos to make fewer than 9.7 million happy? No, he won’t. The Kübler-Ross model in psychology [Sanchez 2007] states the five basic stages of grief: Denial, Anger, Bargaining, Depression, and Acceptance. I was in denial that Duterte was actually serious about burying Marcos there. Then I got angry when he appeared to be serious about it. Then I bargained by evaluating my presidential options, and I felt he’s the least evil [TP: Jalosjos]. Then after evaluating, I got depressed at the dearth of choices for May 2016, but I realized that life goes on. That’s why I eventually accepted the fact that Marcos may indeed be buried in LNMB. I do not approve of it, but I am resigned to the idea that it will happen. I understand and I support those who protest against Marcos’ burial, but I am already over it. We can argue all day about ideals and values and morals and whatnot, but I do not like arguing about things that will not yield tangible results.